*Snort! * How many real life soldiers struggle with excess plastic on their arms or legs? When I was little, I always wondered why the machine gunner had a Bren. 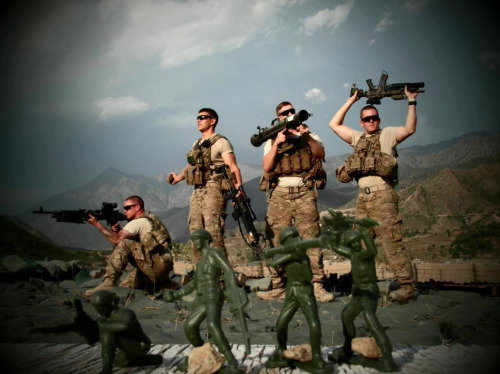 I’m showing this to my boy who still plays with army men. He’ll be leaving them behind soon but like most of us, he’ll not forget them. Where’s the giant kid with the hand lens?